As a part of the Earth Week celebration at Kean University, the Center for Leadership and Service held a Reinvent, ReUse, ReCycle Art Show in the Miron Student Center Atrium on Tuesday, April 17, 2018. All of the artwork displayed was created from reused and re-purposed items. The university has multiple trips and on-campus programming pertaining to the environment throughout the month of April, but Earth Week specifically is where one can fully immerse themselves in going green. In turn, those who attend these events will be able to garner knowledge and share ideas with others interested in environmental sustainability. April 16: Earth Keepers of Upper Montclair - 10 a.m. to 1:30 p.m. The Center for Leadership and Service (CLS) will be traveling to the Essex County Presby Memorial Iris Garden, which is the nation's largest of its kind. The display contains over 14,000 irises with over 3,000 varieties and 100,000 blooms each springtime. It is an active botanical preservation site with some of the varieties of iris predating the 16th Century. Volunteers are needed to do various garden projects including weeding, mulching, removing invasive botanical species and planting. Transportation will be provided to and from the site. Information regarding departure time and location will be provided to approved volunteers at a later date. Those interested can register here. Spaces are limited and filled on a first come, first served basis, so it is encouraged that interested students register as soon as possible to avoid potential deferment. April 23: New Eyes for the Needy — 10:45 a.m. - 2 p.m.
CLS will be collaborating to collect used eyeglasses with New Eyes for the Needy, a non-profit, non-sectarian organization whose purpose is to improve the vision of the poor. New Eyes accepts, recycles and distributes both new and donated glasses for underprivileged people domestically and overseas year round. The facility is located in Short Hills, NJ, and transportation will be provided for those attending. Volunteers are needed to sort, test and box glasses for their overseas program. Although not yet available, registration will be in the coming days as the event draws closer. April 23: ReCycle, ReInvent, ReUse — Art Showcase- 11:30 a.m. - 3 p.m. In celebration of Earth Day, CLS will be hosting a Recyclable Art Showcase in the Miron Student Center Atrium. The event looks to educate and inspire students to become more environmentally conscious through various creative outlets. 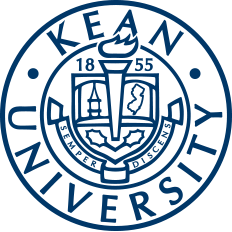 The showcase will display art created by Kean students that symbolize the multiple significant ways the environment is impacted by human activity on a daily basis. Any and all interested students that wish to submit a piece for the showcase should contact the CLS and arrange to drop off the piece the day of the show. It is asked that pieces submitted be made of recyclable/recycled materials, with the exception of adhesives such as tape, glue and decorative materials such as paint. Any and all types of art and artistic mediums are accepted and encouraged. 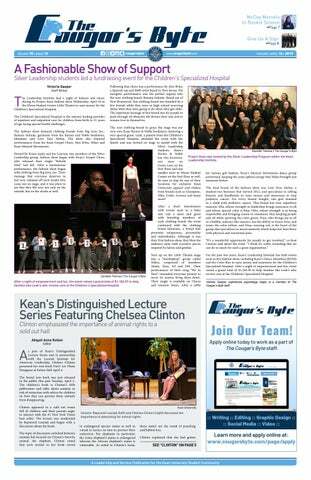 Those with any questions on these Earth Week events at Kean University are encouraged to contact the CLS at (908) 737-5170 or at serve@kean.edu.